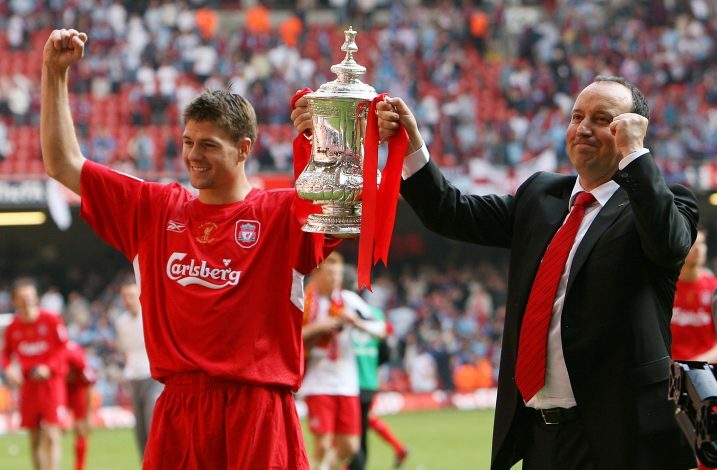 Football bid adieu to one of its best players, after Liverpool legend Steven Gerrard announced his retirement. Steven Gerrard has had a fantastic career for both club and country. While he may have failed to win the Premier League title with Liverpool, his performances have never been in question, especially in Europe, where he won both the UEFA Cup and the UEFA Champions League. Whilst there have been numerous great performances from the man, here are 5 of the best in no particular order. This will always be Gerrard’s greatest achievement, and whenever his topic comes up in any discussion it will invariably go to the 2005 Champions League final against AC Milan. The first half was a complete disaster for the Reds, slipping to a three goal deficit. Everyone who was watching the game, from the fans to the experts, gave no chance of a comeback from that. But Gerrard had other ideas. He started what was soon to be recognised as one of the greatest comebacks in football, by scoring Liverpool’s first goal with a header. He was pumped and tried to get the crowd behind the team after the goal. The second goal also came partly because of him, as he was tripped in the box that gave Liverpool the penalty that Xabi Alonso duly converted. Gerrard seemed to always perform his best when it mattered the most. After that final in the Champions League, he had another fantastic performance in yet another final. Rafa Benitez’s team were down in the dumps, conceding two goals in the first half to West Ham. Djibril Cisse scored one to reduce the deficit going into half-time. 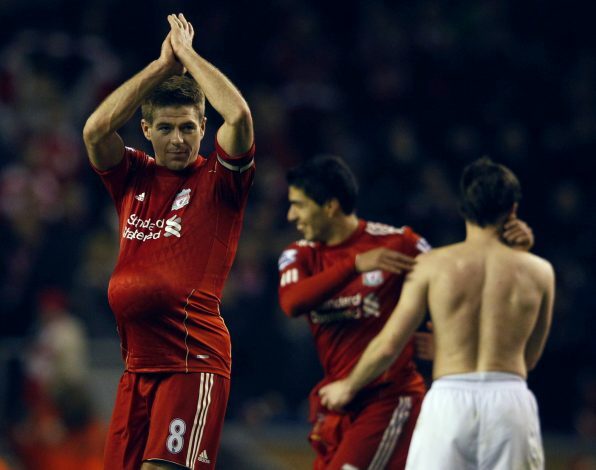 As it always seems to happen, Gerrard stepped up his game in the second half. He scored the equaliser that gave the Reds a chance. Unfortunately for him and the team, West Ham scored with 10 minutes of regulation time left. But the captain was not done for the day. In injury time, he scored a fantastic long-range goal from 35 yards out, taking the game into extra time once again. Liverpool came up trumps in the penalty shootout, with Gerrard converting his to cap off a truly ‘man of the match’ performance. Long before they went on to create history in the Champions League final against AC Milan in 2005, Liverpool had the small matter of having to actually qualify for the Round of 16. The Reds were not having a great group stage, and it was even worrisome that they may not even qualify for the next round. It all came down to the last group game against Olympiakos in December 2004. They needed to win by two goals if they were to go through to the knockout stages, but instead conceded a goal to the Greek side, making it even more difficult for themselves. Liverpool managed to score two goals by the 81st minute, but it was still not going to be enough to see them through to the next round. Gerrard, with less than 5 minutes remaining in the game, scored yet another scorcher for Liverpool, ensuring they stay in the competition in which they would go on to make history. For Liverpool, one of the most important matches in any season is the Merseyside derby with Everton. While it may not have the fierce rivalry seen between neighbouring clubs in general, it was still a matter of pride to be able to beat Everton for at least the bragging rights. While Gerrard has had some very good performances in the derbies, one such performance that stands out is the game at Anfield on 13 March, 2012. It was a solo performance from the captain, scoring all the goals to single-handedly win the game 3-0 for the Reds. It was the first time since 1935 that a hat-trick was scored at Anfield in the Merseyside derby, as well as the first hat-trick in the derby in any ground since Ian Rush’s four goal salvo in 1982, making the performance all the more special. 5. Hat-trick over Napoli – November 2010. Steven Gerrard certainly loved an European night, as most of his memorable performances have come in those competitions. It was another one of those games in which the Reds were struggling to win, only for their captain to come in and save the day. Liverpool were playing in the second-tier of Europe, now the Europa League, and were 1-0 down to Napoli by the end of 45 minutes. With only 15 minutes left in the game, Gerrard completely turned the tide, scoring 3 goals to win the game for Liverpool, and take them top of the table in Group K.